Pool cleaning, service and maintenance are ongoing activities. This is particularly true for commercial pools which need to be clean, healthy and in perfect shape at all times in order to draw visitors and patrons. We help your business achieve that by making sure that every aspect of your commercial pool is in A+ condition. 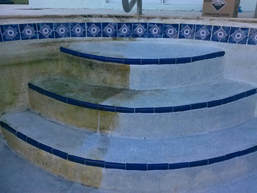 Our company is ranked among the most trusted Temecula Pool Cleaner services. 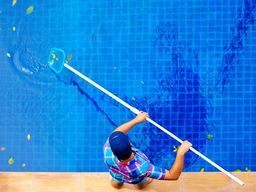 We have built this reputation by working with businesses in Temecula and delivering an exceptional quality of service in commercial pool cleaning and maintenance. A commercial pool is all about delivering an enjoyable experience to the visitors so that they return again and again. At the same time, businesses like to trim down the operating costs of commercial pools. We are the go-to provider of commercial pool services in Temecula, California. This is because we offer you the perfect combination of quality service and affordability. Our licensed Temecula pool service experts handle virtually every aspect of pool cleaning, service and maintenance. These include acid washing, tile cleaning, filter maintenance, pumps overhauling, drain cleaning, repairs and more. We also offer monthly or weekly maintenance packages which give you an incredibly affordable way to work with us long-term. At the end of the day, we aim to make your pool the perfect spot for recreation and a genuine attraction for visitors, guests, patrons and families. Time delayed is time lost in most business situations. We truly understand this, which is why timeliness and efficiency are our key ethos. You can absolutely rely on us for all pool service and maintenance needs. Being the leading Temecula pool service contractor, we offer same-day services. If you want to urgently have a pool repaired, cleaned or serviced, get in touch and we will get it done. To give you long-term peace of mind, we also offer monthly and weekly maintenance services. This means that you sign up a contract with us and let us know whether you want us to service and maintain your pool on a weekly or monthly basis. Depending on your preference, our licensed Temecula pool service professionals will arrive at your pool week after week or month after month. They will handle pool repairs, component replacements, cleaning, filter inspection, chemical balancing and virtually all aspects of your commercial pool. Once you hire us, we make sure you never have to worry about your pool again. 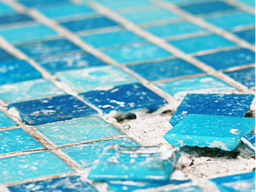 Health and safety is a vital consideration when it comes to commercial pools. The chemical balance of the water has to be just right to make it safe for guests. However, this requires rigorous and ongoing testing and balancing of the water. Here at Temecula Pool Service, we take care of this aspect as well. Our licensed professionals have many years of experience in working with commercial pools in Temecula, California and surrounding areas. 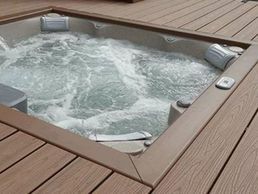 They are experts in achieving the perfect chemical balance in such pools as per safety and health regulations. We always strive after win-win solutions. This means that not only do we deliver premium quality pool services, we strive to make sure that the long-term operational costs of your commercial pool are lowered as much as possible. To this end, our experts advise and help you in implementing more sustainable strategies. They also let you adapt to the local regulations, drought and weather conditions, as well as other circumstances while maintaining a perfectly functional commercial pool. To hire us or to discuss our services further, get in touch today and receive an absolutely free quote.